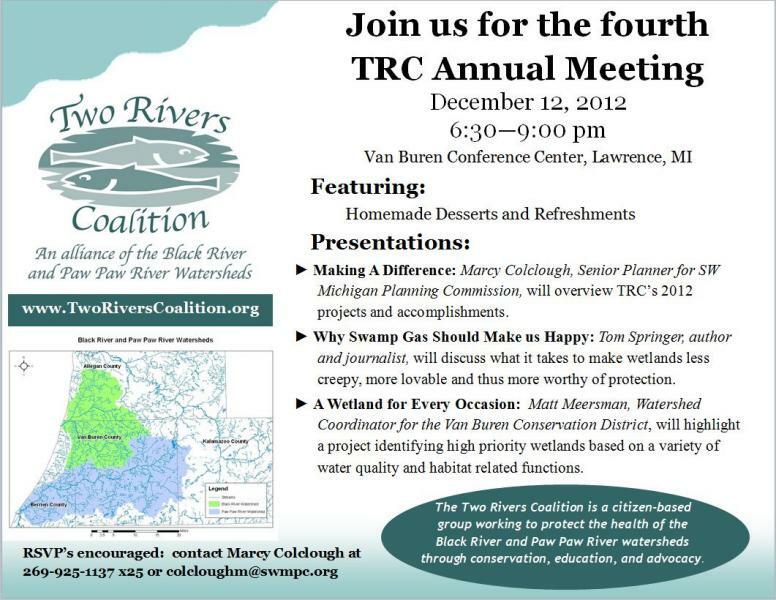 Marcy Colclough, Senior Planner at Southwest Michigan Planning Commission, will provide her perspective of TRC’s accomplishments during the past year and of plans for the future. Marcy has 14 years of experience working with municipalities and community groups in southwest Michigan to improve and protect water quality and build more sustainable communities. Matt Meersman, Watershed Coordinator for the Van Buren Conservation District, will highlight a project identifying high priority wetlands based on a variety of water quality and habitat related functions. Matt has been working to protect rivers, lakes and streams in southwest Michigan for over 12 years. His passion for protecting water comes from a love of being on and in it. You can find him paddling canoes and kayaks on area lakes and rivers several days a week. He currently serves as the President of the Friends of the St. Joe River Association. 8:15 pm Why Swamp Gas Should Make Us Happy: Tom Springer, author and journalist, will discuss what it takes to make wetlands less creepy, more lovable and thus more worthy of protection. Tom is the author of “Looking for Hickories: The Forgotten Wildness of the Rural Midwest,” and has written for popular magazines such as Backpacker and Michigan Out-of-Doors. His nature-themed commentaries have aired on several National Public Radio programs. He holds a master’s degree in environmental journalism from Michigan State University. This page last updated on 3/19/2019.